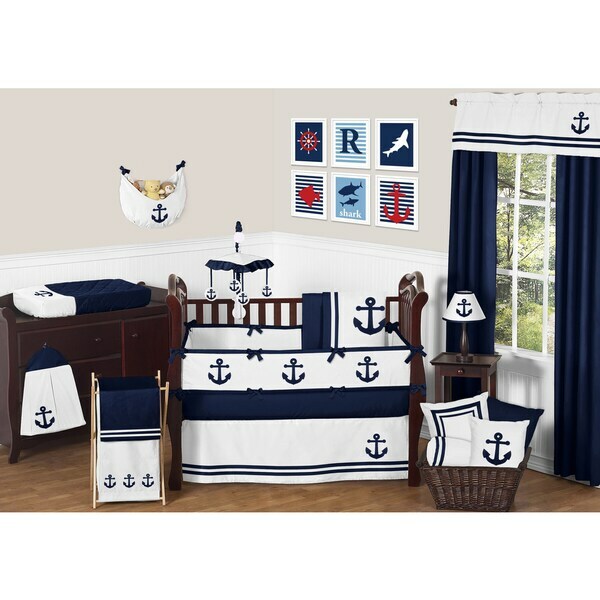 Create a coordinated, nautically themed nursery with this nine-piece crib bedding set. The soft 100-percent cotton set includes a diaper stacker, toy bag, decorative pillow, and two window valances in addition to the full set of crib linens. "What are the dimensions for the window valances?" "Hello, I wanted to know if the crib set will be able to fit a mini crib? Assembled dimensions: 39" L x 28" W x 37" H"
Yes, this will fit a mini crib.